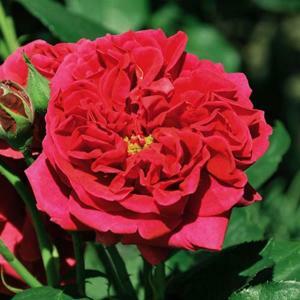 English shrub rose. Double, shallowly cup-shaped crimson-red flowers. Strongly scented.